Posted in General on May 2, 2016 by British Council India. The British Council had recently organised the Education UK Alumni Awards 2016 on March 19 in New Delhi to honour outstanding success in Entrepreneurship, Professional Achievement, and Social Impact by Indians who have graduated from UK higher education institutions. The winners were Ankit Mehrotra for the Entrepreneurial Category who graduated from University of Essex and founded Dineout, a premier table reservation service in India; Nishad Chaughule for the Professional Achievement category who had studied at Leeds Beckett University and had made a name for himself as a filmmaker and student Academy award winner; the Social Impact award was won by Ria Sharma, an alumnus of Leeds College of Art for her initiative Make Love Not Scars, an organisation that has helped over 60 survivors of acid attacks medically, legally and financially. The three winners were invited for the Queen’s Birthday Party celebrations that were held at the British High Commissioner’s residence. The Duke and Duchess of Cambridge, Prince William and Kate Middleton were the guests of honour for the evening. 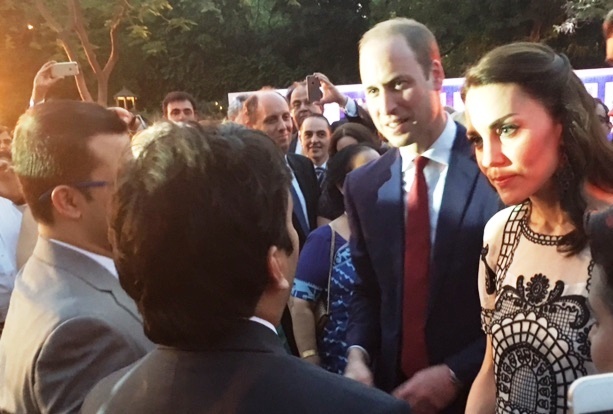 The winners individually got the opportunity to interact with the Royal Couple. International Women’s day: Does it make a real difference to women’s lives? Posted in General on March 10, 2015 by British Council India. We have been celebrating International Women’s Day for more than a century. Back in 1909 it was all about fighting for the rights for working women. It has over the years broadened to include all women. Of course, as a woman, it feels good to have a day dedicated to us, but is it enough? In an ideal world, surely, we wouldn’t need to have this one day set aside every year? Women’s rights and their contribution to society would be understood and appreciated every day of the year. The reality is that for almost half the population of the world every day is a constant struggle. In many countries women still don’t have even basic rights. They don’t have the right to vote or to education. At an even more basic level, they are not safe in the streets, or even at home. Their own bodies are not their own. Even in the most developed countries the battle for equal wages and equal rights in the workplace goes on. 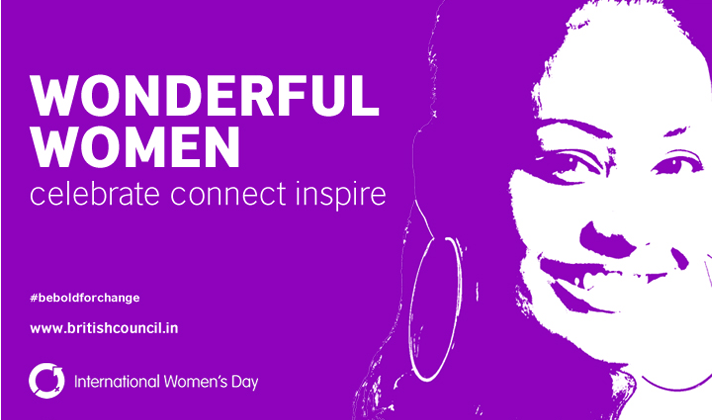 In a world like this, simply setting aside a day to “celebrate” women seems like tokenism to me. We have to create a future where we don’t need women’s day anymore because we are all equally empowered. Till then, a woman can dream…. Posted in General on March 9, 2015 by British Council India. Anil Subramanian was in London the week of 19 January as part of a high-level delegation from India that took part in the second UK-India English Partnerships Forum and study tour to several UK institutions. He shares his thoughts and take-aways from the week. Sustained success of the first four initiatives hinges significantly on the availability of quality manpower. The answer therefore lies in skilling the youth in India. As is well known, there is a large rural population waiting for skills training for either increasing agricultural productivity or to enable them to join as productive workforce in the manufacturing and service sectors. The latter not only requires quality technical skilling but also English language skills. The government’s DDU-GKY skill development programme recognizes this and has made English skill a mandatory part of its training. 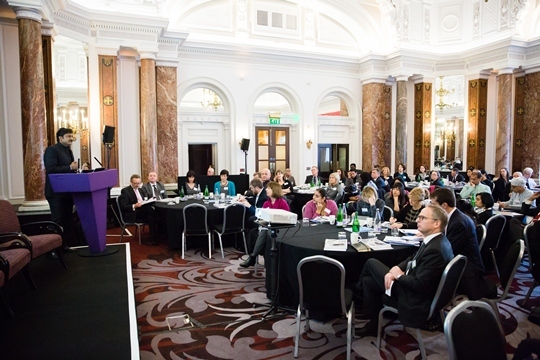 Against this backdrop, the focus of UK-India English Partnerships Forum in London on 20 January this year was on English Skills for Employability, especially as part of skill training outside formal education. The Indian delegation consisted of State Government Ministers, Government officials representing the Centre and States, skills agencies, assessment bodies and Sector Skills Councils from India. The Indian delegation got an opportunity to interact and share views with their counterparts in the UK. Several key discussions revolved around identification of academic, strategic and commercial opportunities in English skills in vocational training. The Forum also paved the way for scoping possibilities of creating opportunities for using UK’s experience in enhancing the quality of skills training in India. One of the key areas for partnerships includes assessment and certification for employable skills which may require international certification. The possibility of Training Partners from the UK getting involved in skills development in India for the global market came as an idea whose time has come and the relationships the Indian delegation established in the UK now need to be nurtured diligently. UK-India English Partnerships Forum could not have come at a better time. Anil Subramanian is Deputy Secretary in the Ministry of Rural Development. He currently handles subjects related to policy, planning and operations in implementation of DDU-GKY, a placement -linked skills development programme for rural youth in India. Mr Subramanian has a background in the humanities. He has been working with Government of India for the past 18 years. During this tenure he has also handled portfolios in public service selection, environment and forest regulations, information broadcasting policy and mining regulations. Posted in General on February 18, 2015 by British Council India. Synopsis of the Book : A prospective superpower, India is still grappling with a host of risks that threaten to hamper its progress. These range from environmental threats caused by GM crops and pollution; dangers to health from HIV/AIDS and maternal mortality; safety concerns about natural hazards, nuclear power, and industrial disasters; and challenges to livelihoods and values. The field of risk research, which has emerged over the last 40 years in the West, has been relatively unexplored in India. In an effort to bridge this gap, this volume brings together Indian and Western scholars and practitioners across the fields of psychology, anthropology, law, politics, sociology, public health, philosophy, science, and architecture, who offer insights on the theory of risk. The book edited by Raphaelle Moor and M.V. Rajeev Gowda will feature experts such as Prof Shiv Visvanathan, Professor and Vice Dean Centre for the Study of Science, Society and Sustainability Jindal School of Government and Public Policy O.P Jindal University, Mr.Keshav Desiraju Secretary GOI Ministry of Consumer Affairs, Food and Public Distributionand and Dr.Nafees Meah, Director, Research Council UK (RCUK) along with Prof. Rajeev Gowda and Prof Ian Scoones, Director Steps Institute of Development Studies at the University of Sussex. Posted in General on February 4, 2014 by British Council India. It was a love affair with the printed word. Words that represented ideas, generated debates and elicited humour. 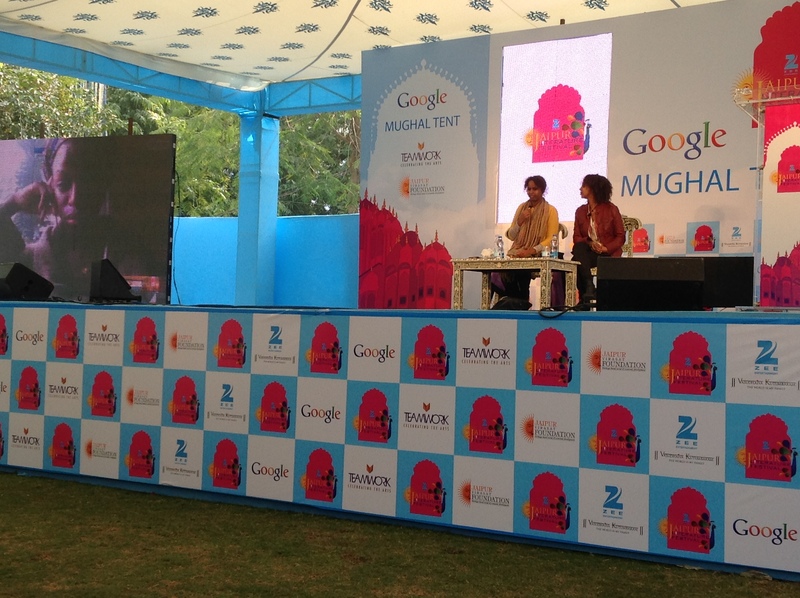 The Jaipur Literature Festival this year had thousands jostling to listen to writers and browse through books. You were spoilt for choice. Whom do you listen to and whom do you leave out? I did a careful book-cart selection to maximise my visit of two days. My big discovery was Reza Aslan, the Iranian author of Zealot: The Life and Times of Jesus of Nazareth, an attempt to humanise Jesus that became number one on Amazon after a Fox news interview, deemed “the most embarrassing interview” of the decade, where the anchor asked him how as a Muslim he could write about the life of Jesus. He was in conversation with A N Wilson, British writer and columnist, whose biography of Leo Tolstoy I had devoured as a college student, and whose recent Dante in Love and The Elizabethans stunned critics with its profound scholarship. The session was moderated by William Dalrymple, festival co-director, who tweeted on Republic Day: “On this day, exactly 30 years ago, 26th Jan 1984, I first touched down in India (from the UK), and my life changed irrevocably and irreversibly forever”. I followed that up with a session on “Raj aur Samaj: Democracy and the People”, with journalist Kalyani Shankar, ex-election commissioner Navin Chawla and Bihar Government adviser Pavan Varma in conversation with Ravish Kumar the talkative Zee news anchor. It was fun because the argumentative Indians never did agree with each other and with the many vocal members of the audience. A N Wilson was worth encountering the second time when he was in conversation with Richard Holmes on The Age of Wonder/The Victorians. Holmes’s Age of Wonder: How the Romantic Generation Discovered the Beauty and Terror of Science focuses on the work of British naturalist Sir Joseph Banks, Hanoverian-born British astronomer William Herschel and English chemist and inventor Humphry Davy, describing the relationships between the scientists of that time, and the early days of the Royal Society. In his latest book In Falling Upwards: How We Took to the Air Richard Holmes writes about the history of ballooning. I had seen a balloon go up (and not go up) recently at the International Kite Festival in Kolkata and my interest was kindled to learn more about a science (or art?) where the basic mechanics as Holmes explains have not advanced much since its heyday in the late 18th and 19th centuries. Besides being a first-rate writer, Holmes is a delightful raconteur and his account of James Glaisher and Henry Coxwell making several ascents of over 20,000ft, calmly recording the discolouration of their skin and the onset of oxygen deprivation along with the meteorological information they were primarily seeking, was hilarious. Mary Beard, Professor of Classics at the University of Cambridge and called “Britain’s best-known classicist”, brought Pompeii alive by describing the lives, obviously sometimes raucous, of its residents. She has inspired me to read up more about the Romans and download her BBC Two documentary on the subject. Then there was the gripping account of The Siege by Adrian Levy, an award-winning journalist currently with The Guardian, who along with his wife Cathy Scott-Clark has done a detailed reconstruction of the 27/11 terror attack on the Taj in Mumbai. The book has been a sensation as it has spine-chilling revelations of how Lashkar-e-Taiba and David Headley carefully planned the attack for years. You have to be fleet-footed to flit from one session to the other at JLF and I only managed to catch a bit of Rana Dasgupta discussing his Capital on the global elite (“the farm house in Delhi is nothing like a farmhouse”) and then Nicholas Shakespeare, Isabella Tree, Robyn Davidson, Cheryl Strayed discuss the relevance of travel writing in the age of social media and Google, both dexterously moderated by William Dalrymple. I ended my tryst with JLF with the true story behind F. Scott Fitzgerald’s masterpiece The Great Gatsby as related by Sarah Churchwell, Professor at the University of East Anglia, to the skilful moderator Chiki Sarkar, publisher with Penguin Books India. As I soaked in the atmosphere at JLF near the British Council stall selling online library memberships, I remembered how I had travelled with Sanjoy Roy of Teamwork, and producer of JLF, to the Edinburgh Fringe Festival in 1999 that set off his agenda for international arts festivals. Sanjoy writes about this in the Bloomsbury-British Council publication Re-Imagine: India-UK Cultural Relations in the 21st Century. Our work in the arts has impact, but some of it is felt years later! Posted in Arts, General and tagged Granta, literature, Webcast on October 19, 2013 by British Council India. British Council brings two of the Best of Young British Novelist on the Granta list, Evie Wyld and Ned Beauman to India this October. Evie and Ned will join in for a discussion relayed to you live on this page, about their work and life after being shortlisted as the future of the UK literature scene. Evie Wyld (1980) runs Review, a small independent bookshop in Peckham, south-east London. Her first novel, After the Fire, a Still Small Voice, won the John Llewellyn Rhys Prize and a Betty Trask Award. In 2011 she was listed as one of the Culture Show’s Best New British Novelists. She was also shortlisted for the Orange Prize for New Writers, the Commonwealth Writers’ Prize and the International IMPAC Dublin Literary Award. ‘After the Hedland’ is an excerpt from her second novel, All the Birds, Singing, forthcoming in June 2013 from Jonathan Cape in the UK and in 2014 from Pantheon in the US. Ned Beauman (1985) was born in London. His debut novel, Boxer, Beetle, won the Goldberg Prize for Outstanding Debut Fiction and the Writers’ Guild Award for Best Fiction Book. His second novel, The Teleportation Accident, was longlisted for the Man Booker Prize. His third novel, Glow, from which this excerpt is taken, is published in 2014 by Sceptre in the UK. *Conditions apply. Limited copies are available and the winning questions will be selected by the moderator. Posted in General on October 3, 2013 by British Council India. It is easy to take the familiar for granted. In my home town, Durham City in the North of England, the castle stands above the banks of the River Wear, unremarked upon by natives but admired by tourists. It’s a UNESCO World Heritage Site. My grandfather, an architect, helped to preserve it by shoring up the castle and preventing it from slipping into the Wear. Most of the time the British Council building in Delhi goes unremarked upon. But it is a remarkable building. Take a close look at it next time you are here. Architect Charles Correa’s idea was to have three “axis mundi” through the length of the building. The first, a spiral representing Bindu in Hinduism, is beside Stephen Cox’s massive granite sculpture of a meditative face against the back wall. The second is embodied in the traditional Islamic Char Bagh (Garden of Paradise). The third is in the floor of the foyer, a symmetrical inlay in marble and granite that represents the European Age of Reason. At the front of the building are the familiar black shadows of the boughs of Howard Hodgkin’s giant tree of life and knowledge. It is a wonderful building and we are going to preserve every aspect of it throughout our refurbishment work over the coming year. We are in the middle of phase one, which is largely out of sight – in the basements and annexes. We have had to relocate our café to a temporary container at the front – apologies for this. The new café will be on the ground floor, inside a new gallery space that will extend from the current gallery area all the way through to the Char Bagh. In November, we will need to start decanting our staff around the building when we start to refurbish the upper floors, and there will be disruption. We don’t currently plan to close our public facilities. We will soon be putting the plans for our refurbished building onto our website, so look out for them. The work we are doing will result in a better place for visitors to come and learn, read, talk and think. Inside, it will be strikingly different to now in many respects, but we have a huge responsibility to preserve the building. Durham Cathedral has sat astride the same outcrop as the castle since the 11th century. Our own cathedral of learning and cultural relations on Kasturba Gandhi Marg may not last that long, but it is not a bad ambition. Posted in General on September 18, 2013 by British Council India. As part of our initiatives to explore Design Education in India we organised an event in 2012 “Designing Better Designers”. A forum for discussion and exchange on Design Education, the event also aimed at building collaboration between design communities in India and UK, to fill gaps in their current education models. Chaired by Penny Egan, this discussion was initiated with the hope of delivering practical outcomes for design education in India. Recognising the role of design in society, industry, economy and policy-making, the discussion was initiated to reflect upon the need to train larger number of designers, and the issues surrounding it. “How do we interest those 7000 students at the high school level and prepare them for getting them into design school with the proper support they need – layers.” – Silvia Ojeda García, Academic Director, Raffles Millennium International, New Delhi. The panel discussion brought to light, issues in teaching practice and pedagogy, as well as explored how to shape future ready, empowered and original designers. It generated an insight into opportunities for design students through scholarships and collaborations, and also promotion of design education in schools. Further, the participants discussed on inclusivity, craftsmen and communities. A need to look beyond formal definition of design and structures of design institutes, to include craftsmen and skilled personnel was also identified. In the second part of the event, we hosted a hands-on design workshop for school students aged 12-16 years. The program ended with an exhibition of the students’ work and concluding talk by Mike Knowles. We invited students and educators to discuss and explore issues within teaching practices that would be crucial in designing better designers. Continuing with the theme of the event, this provided an insight into different directions design teaching is headed, and aimed to serve as an inspiration for design students and teachers. Prior to the event we had organised a competition “What you wish they taught in a design school!” where students were invited to send notes on what they wish was done differently at their design institutes, to give voice to their concerns and suggestions. Those selected were given a chance to present before and share their views with design educators at this event. From October 06 through October 11, 2013 a delegation of design educators would be participating in the “India Design Education Study Tour” being organised by the British Council at Design and Art Institutes in UK. Participants include educators from five design institutes in India accompanied by representatives from British Council India.